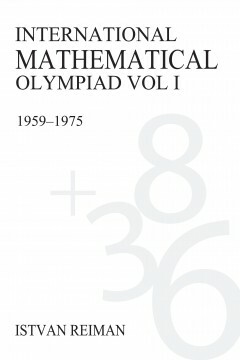 The famed International Mathematical Olympiad has been challenging students worldwide for over 40 years. The first competition was held in Romania in 1959 with seven countries participating. It has since expanded to attract competitors from over 80 countries, representing all five continents. This first volume features every question set from 1959–75, along with comprehensive solutions and multiple answers where applicable. A fantastic selection of mathematical puzzles, this fully updated three volume series will be of interest to serious mathematicians and enthusiasts alike. István Reiman’s compilation of logic puzzles and questions will tease the intellect of all those with a mathematical mind. István Reiman was formerly Leader of the Chair of Geometry at the Budapest University of Technology. He has guided the Youth Mathematical Circle of the J Bolyai Mathematical Society and directed the preparation of Hungarian students for the annual International Maths Olympiad for 40 years. He was awarded the Paul Erdos Award by the World Federation of Mathematics Competitions in early 2000.